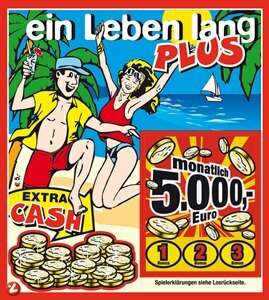 Over the summer Austrians really went crazy over the lottery scratch tickets that offered a chance to win a monthly stipend for life. Not only did they buy loads of tickets – they also shared what they’d do with their potential winnings under the hashtag #einlebenlang (“for life”). Now that the hashtag campaign has run its course, we’d like to show you just what is possible to achieve with such a marketing campaign. We’ll inundate you with a few numbers in this one, but as you’ll see soon they’re pretty rad numbers. If you’re interested in the details, make sure to check out our extensive report over at Slideshare! 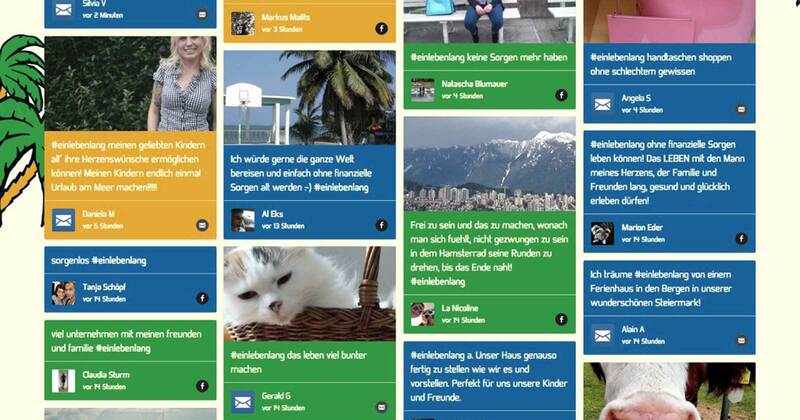 #einlebenlang ran for barely a month, from August 3 to August 29 2014, and there were more than 20,000 submissions coming in with the hashtag. That includes submissions via Facebook, Email, Twitter, and Instagram even though that platform wasn’t officially included in the campaign. 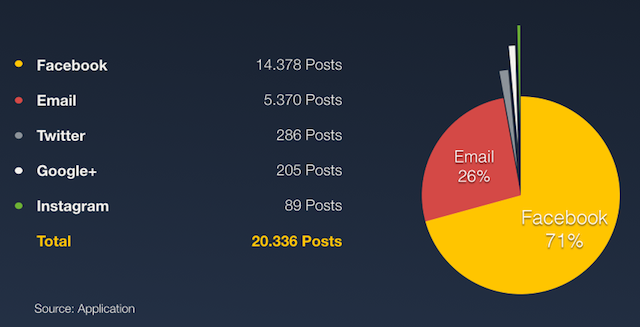 The top source for submissions was definitely Facebook – almost 14,400 submissions (71% of the total number of posts) happened on Facebook alone, and they were viewed 4.4 million times by participants’ friends. This is especially interesting if you consider that hashtags still haven’t really caught on on this platform, partly because Facebook’s variety of privacy settings impedes this quite a bit. But while social referrals were responsible for a whopping 40% of the traffic to the Walls.io-based microsite, the mindblowing part is that more than half of all traffic was direct, by people entering the URL by hand. 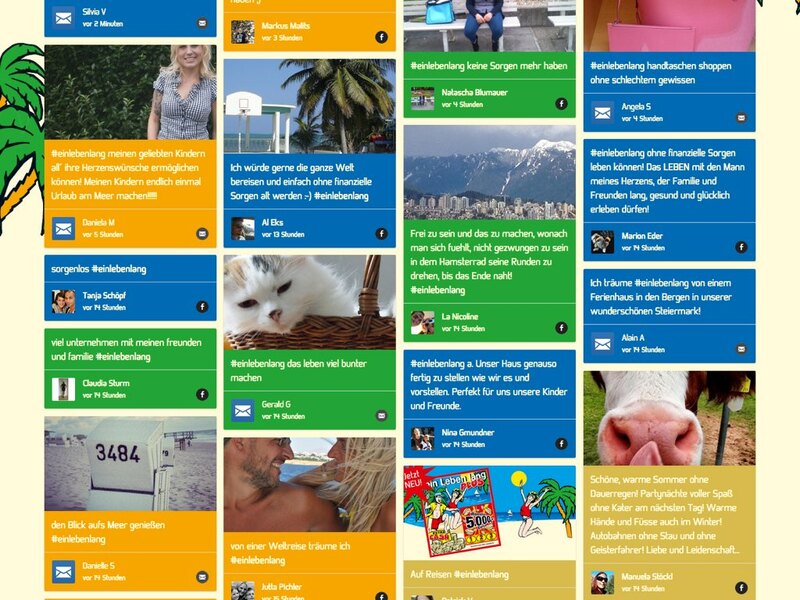 This proves how extremely well Austrian Lotteries managed the integration of online and offline. By referring to the campaign on the scratch ticket itself as well as in offline channels like the TV spot on national television they created a tremendous buzz that led people to connect with the campaign online. This cross-integration is something we here at Walls.io recommend to our clients if they really want to get their hashtag campaign going. We might not have won a pension for life ourselves, but at the end of the day a happy client is what makes us happy too.